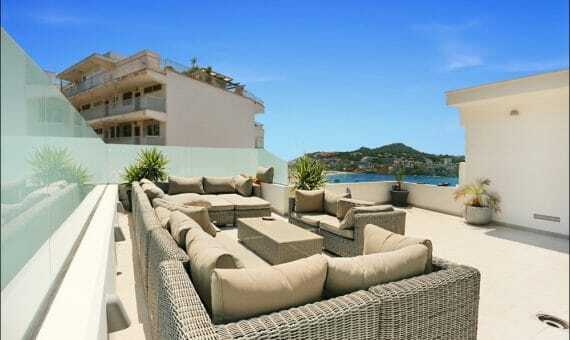 Elegant apartment in the coastal residence in Santa Ponsa, Mallorca. The living area of this property is 147 sqm and distributed between a living-dining room with fireplace, a separate modern kitchen, 3 bedrooms, 2 bathrooms and a storage room. From the terrace (46 sqm) you may enjoy breathtaking views to Mediterranean Sea. The apartment is renovated and has a parking space. The Mediterranean residence benefits from communal pool and a sun terrace with beautiful panoramic sea views. 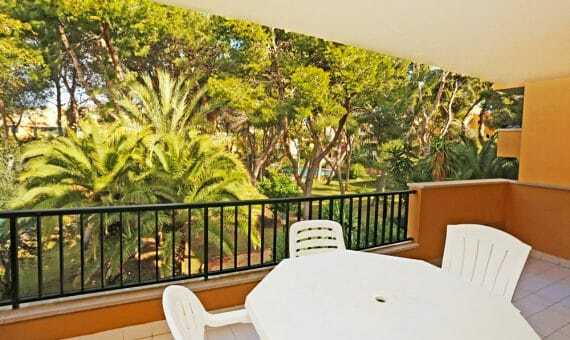 This apartment is located close to the famous marina of Port Adriano, yacht club of Santa Ponsa, 3 golf courses, restaurants, bars and shopping areas.